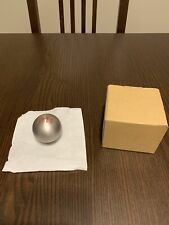 Used Genuine 2018 Honda Civic Type R FK8 Shift Knob. Condition is Used. Used less than 10k miles. Comes with shift know ONLY, no nuts. No scratches or dents, like new. $Fitment: Fitment : M10 X 1.5 Thread Size Fits All Honda Manual Model Note : Also Fits Aftermarket Shifter and Boot Package Includes: --- Package Includes : 1 Piece Of M10 X 1.5 Manual Aluminum Shift Boot Retainer Feature: ---100% Brand New ---Measurement: 1.5'' Tall & 1.15'' Wide ---M10 X 1.5 Thread to Fit Honda/Acura Stock & Aftermarket Shifter and Shift Knob. ---Perfect For Filling Up The Exposed Gap And Space Between Shift Boot and Aftermarket Shift Knob ---Keep Your Shifter/Lever Clean With This Retainer ---Made Of High Quality Heavy Weighted Billet Aluminum. 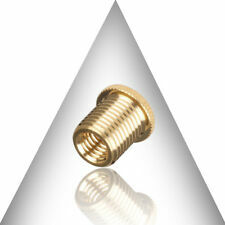 ---CNC Machine Pre-Threaded For Direct Screw-On Application ---Hard Anodized Color Will Not Fade Over Time. ---Easy Installation. OEM Fitment and Quality. We Only Accept Payments by PayPal with Confirmed Address. Honda Civic 2016-2018 AT, Cpe, EX, EX-L, EX-L model. Vehicle Model: Civic. Part # or Vehicle Model: Civic. Vehicle Make: Honda. Nova Scotia (15%) HST. Ontario/New Brunswick/Newfoundland (13%) HST. Quebec: 5% (GST) 9.975% (TVQ) = (14.975%). 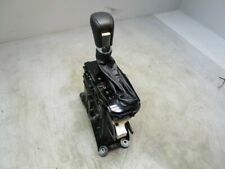 UP FOR SALE IS A USED SHIFTER CABLE FROM 2016 CIVIC 1.5L WITH 1K MILES. WILL FIT: 2016-2018 HONDA CIVIC 1.5L. UP FOR SALE IS A USED SHIFTER CABLE FROM 2016 CIVIC 2.0L. 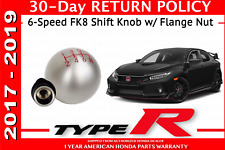 WILL FIT: 2016-2018 HONDA CIVIC 2.0L. 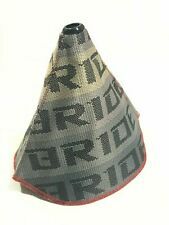 Color: carbon fiber. Material: Quality ABS. We're here for you! We will reply you within 24- 48 hours. D: auto parts 11 digits OEM code. 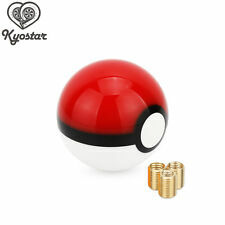 ​C: product pictures. A: 17 digits VIN code. 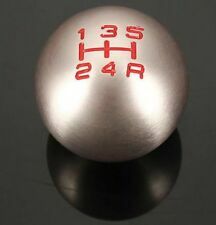 This Universal Car Automatic Gear Shift Lever Knob is with chic and individualized design. 1 X wrench tool. 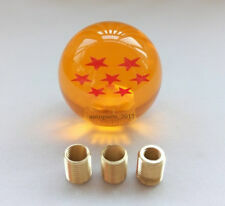 1 X shift knob. A perfect decoration for your car. 3 X small screws. Easy to install. Material: Alloy aluminum. 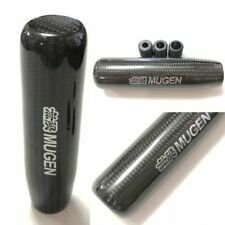 The shift knob of samurai sword design makes your car look cool ! 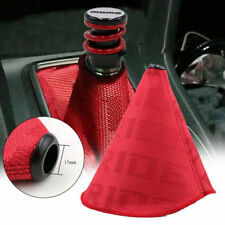 Fit for most MT cars and AT cars without shift knob button. Fit For Universal Car. Color:Black Red. We will try our best to make you satisfy. 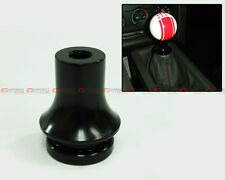 Black&Brown Gear Shift Knob Head Grip Cover Shell Trim Bezel Fit For Civic 16-18. This Universal Car Automatic Gear Shift Lever Knob is with chic and individualized design. 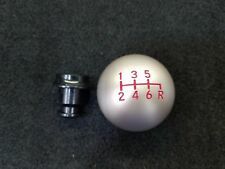 1 X shift knob. Material: Alloy aluminum. 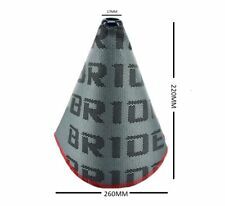 - High quality alloy aluminum material. - A perfect decoration for your car. WARNING: THIS SHIFT KNOB IS LARGE! Width - 58mm. 6061 aluminum block, machined, threaded and weighs in at a 230 grams. Countersunk bore that sits as low as possible on a shifter. Shift knob is machined, sandblasted and anodized.